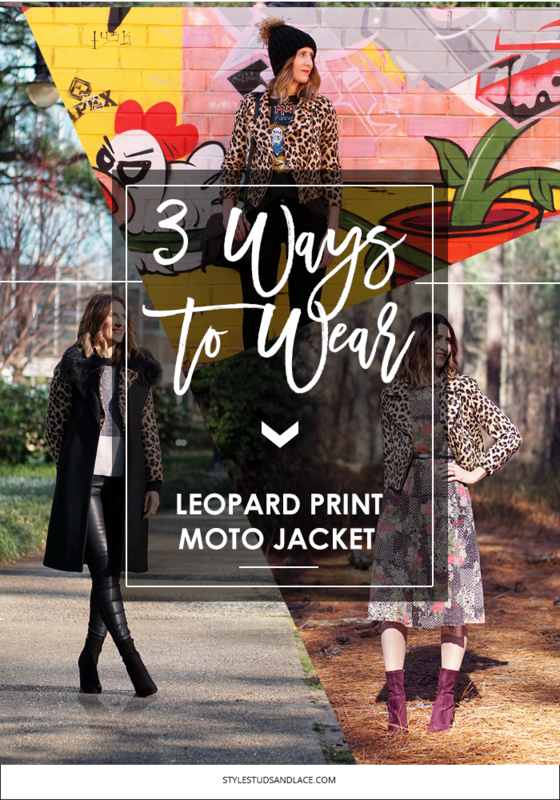 Leopard is my absolute favorite print and moto jackets my favorite jacket, which makes this jacket all round blummin brilliant! 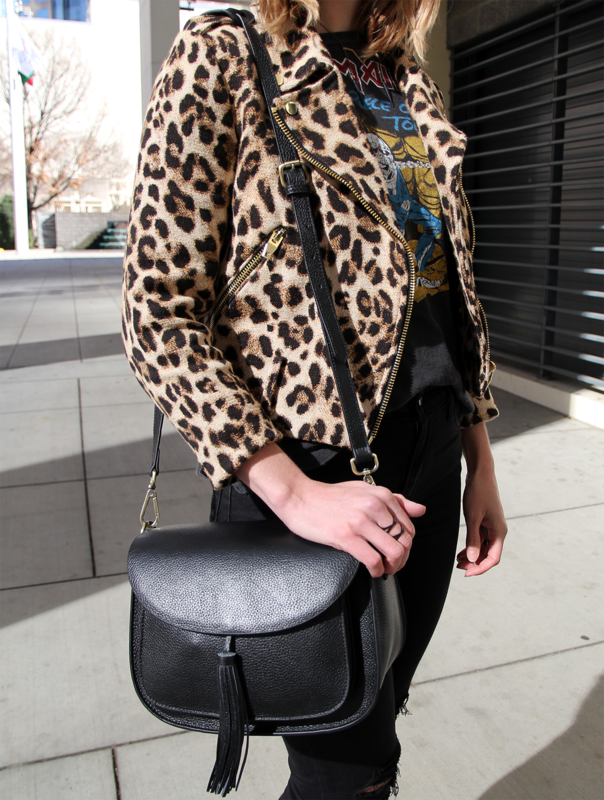 Leopard print is a neutral. I don’t care what anyone says. It is. It goes with pretty much anything and can take an outfit from plain and simple to edgy and interesting. I’ve had a ton of fun playing around with this piece the past few months so thought I’d share three of my current favorite ways to wear it! 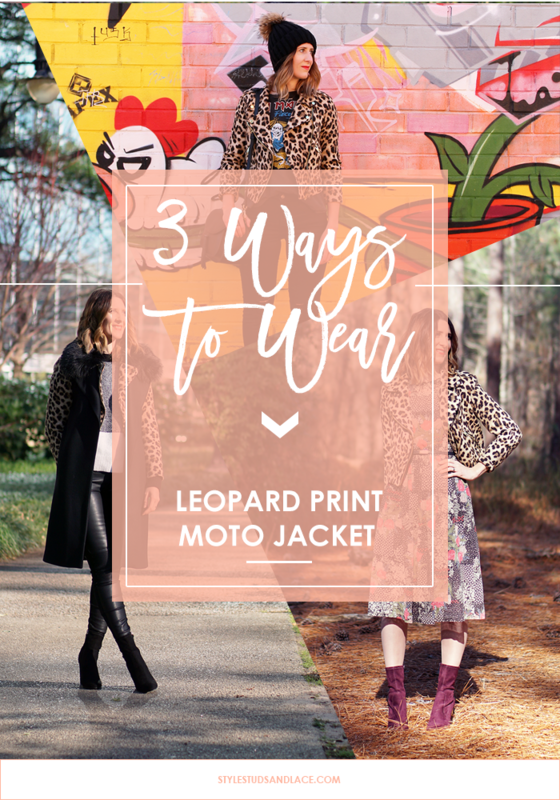 Moto jackets, leopard print and band t’s were born to be worn together! I absolutely love this outfit, I’ve been embracing my rockier side of late and it feels good. The jeans I’m wearing here are the style that took the number one spot in Tuesdays post: The 6 Jeans for Pear Shapes – the fit really is incredible and they are so comfortable. Sadly I tripped and fell in them a couple of months ago and they ripped at the knee, but rather than bin them I decided to make a feature of it and added more rips. I ‘m pretty pleased how they turned out…and it’s great to make do and mend rip. 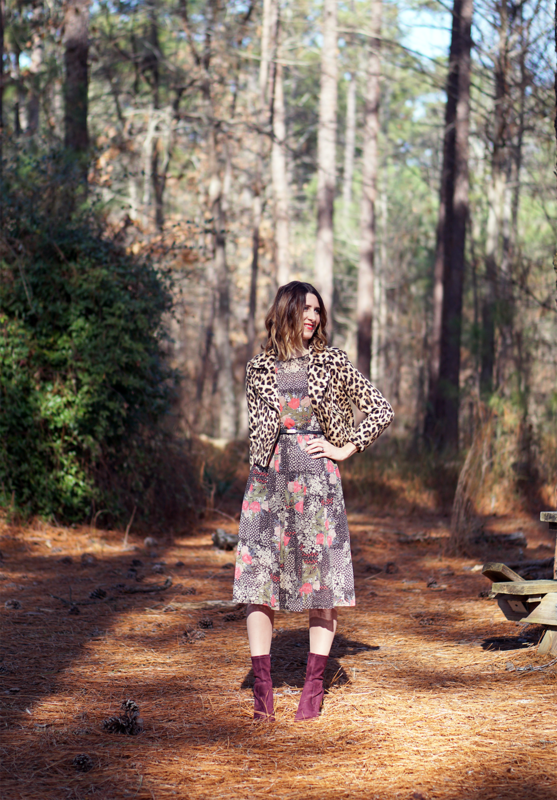 Leopard print clashes perfectly with floral prints! I love to mix prints but it’s a bit of an art. To get a really great mix one print needs to be stronger than the other and it really helps tie the two together if there is a common color featured throughout both. 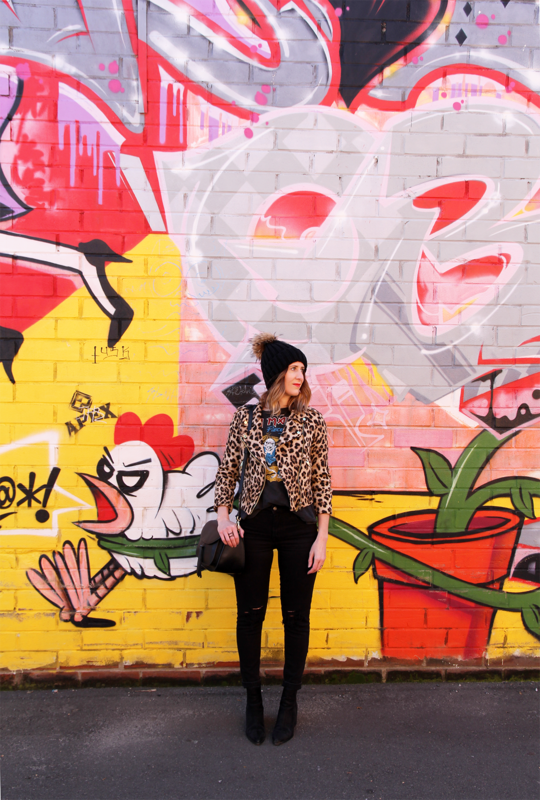 If you want some more guidance on print mixing, pop on over to this post where I share my top 12 tips for mixing prints like a pro. Light weight jackets are great pieces for layering under vests and heavier weight coats. 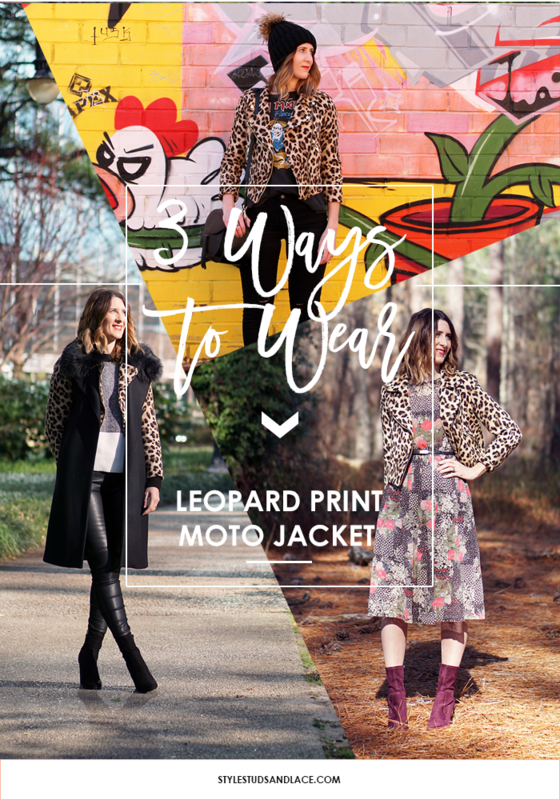 I love how well this leopard one layers under my long-line vest…you’d be forgiven for thinking it was all one coat!